Nothing beats an old classic with a retro twist. At ShanOre Irish Jewelry, it is one of our specialties. 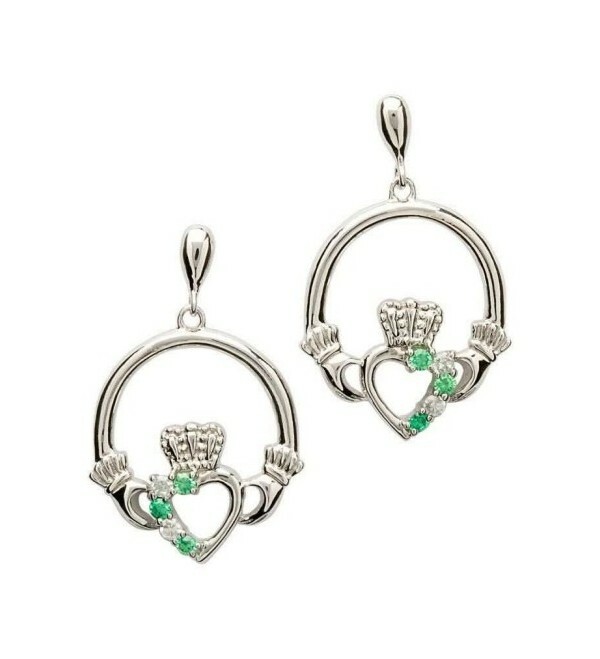 For example, this set of brilliantly designed drop earrings utilizes the ancient Claddagh symbol, but in a new way. Each side of the sterling silver set is curved into a circle which ends with two hands supporting a heart. 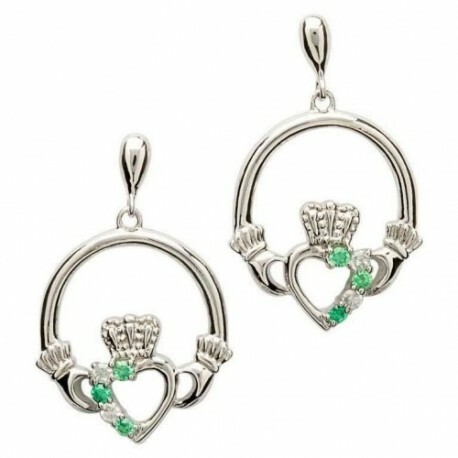 Upon the heart are four silver and green cubic zirconia stones. Atop the heart lies a crown with four stems. The Irish pass down stories. Whether you heard them in a pub with a pint or around a pleasant fireside with your family, storytime is a distinct facet of Irish culture. Those tales are often accompanied by symbols with ancient meanings. Displayed in this piece, the Claddagh shows the uplifting hands of friendship, the heart of love and the crown of loyalty.